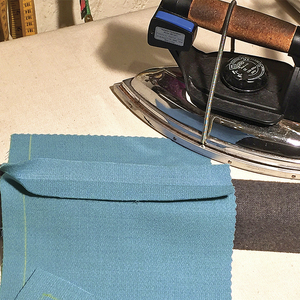 One pattern and 3 sewers yield 21 outfits for inspiration. 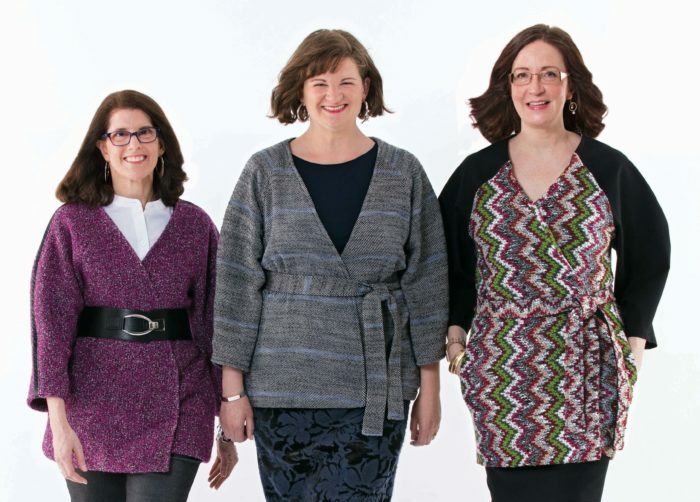 Left to right: Carol, Katie, and Sarah sewed ensembles based on Simplicity Threads 8748. 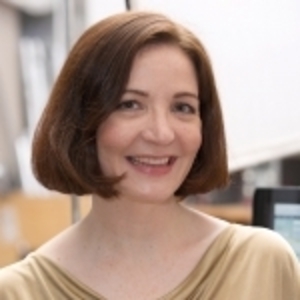 A capsule wardrobe refers to a collection of classic garments that work together in ensembles, as well as with other items in your closet, to offer cohesive and stylish outfits. 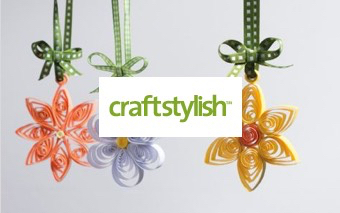 The concept has developed into a strong trend because, with a little planning, it offers an ongoing source of dependable looks. Getting dressed becomes one less source of stress. 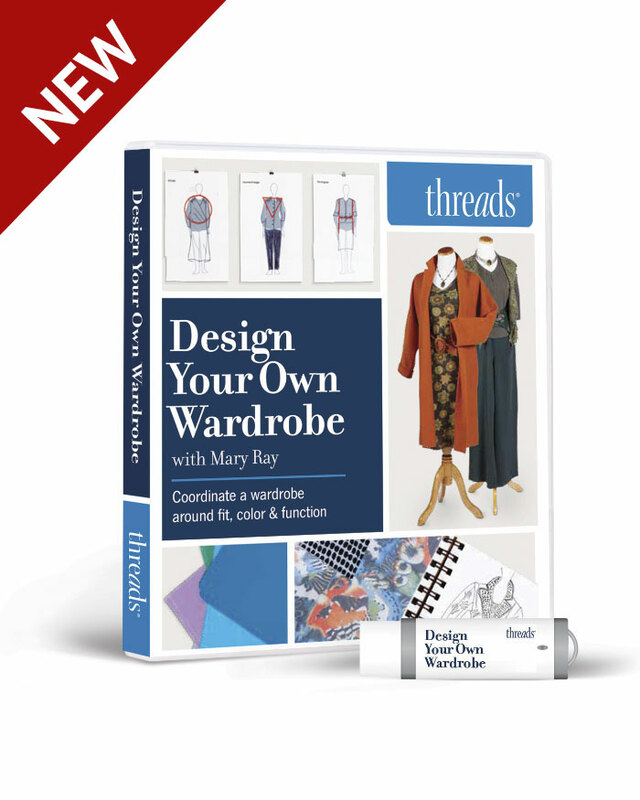 The precise plans and definitions for a capsule wardrobe can depend on the individual selecting or sewing it. 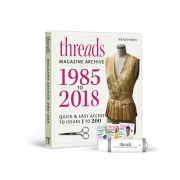 In this Web Extra to “Three Capsule Wardrobes,” Threads #199, Oct./Nov. 2018, you can see all 21 outfit variations. 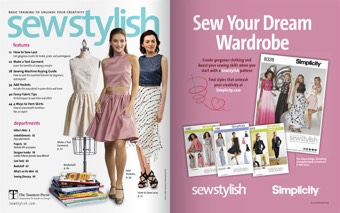 It includes the separates sewn by Katie Strano, editorial assistant; Carol J. Fresia, senior technical editor; and Sarah McFarland, editor. 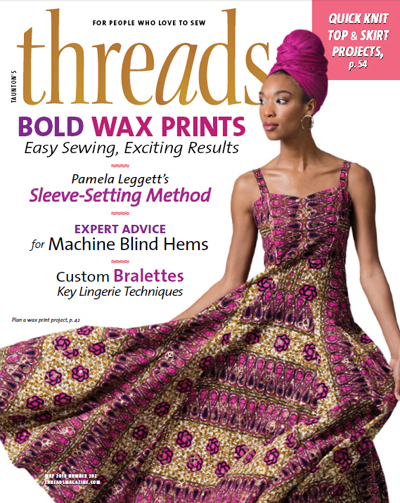 All the pieces were based on Simplicity Threads 8748. 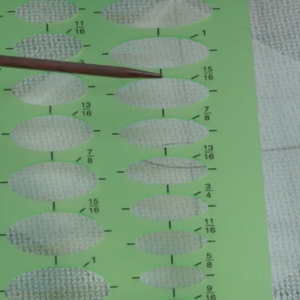 The article provides specific information about the sewing techniques used with the various knit and woven fabrics, and the pattern modifications made to each version. 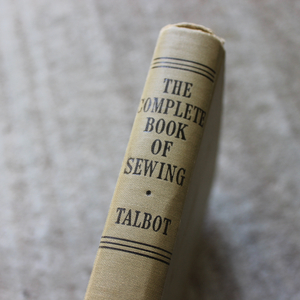 Take what applies to your tastes as inspiration for sewing your own capsule workwear wardrobe. 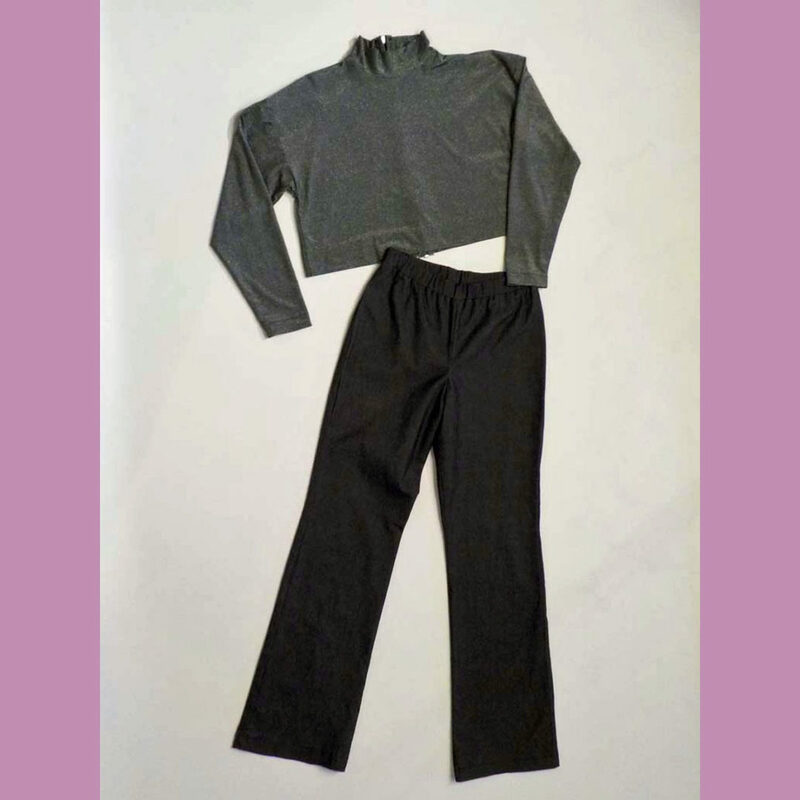 Although the outfits shown below were sewn to coordinate, each piece could work with other separates for an exponential number of outfits. 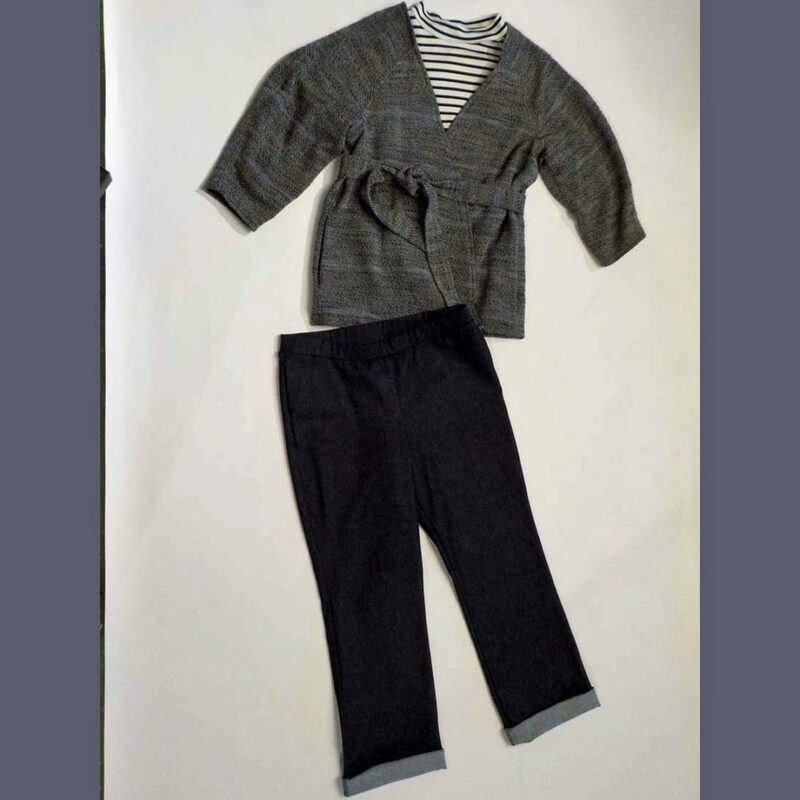 Jacket in handwoven cotton twill; top in ponte knit from Mood Designer Fabrics; pants in stretch denim from Mood Designer Fabrics. 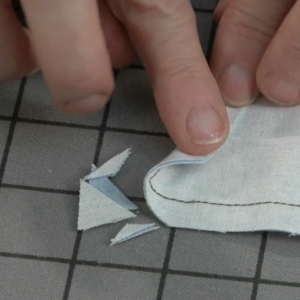 Katie shortened the top’s sleeves so that it would work beneath the jacket. 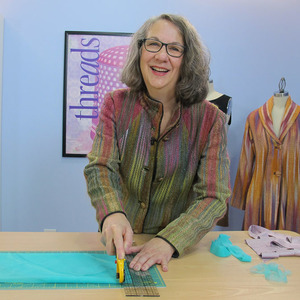 Katie’s handwoven cotton twill jacket, ponte knit top, and bonded wool skirt. 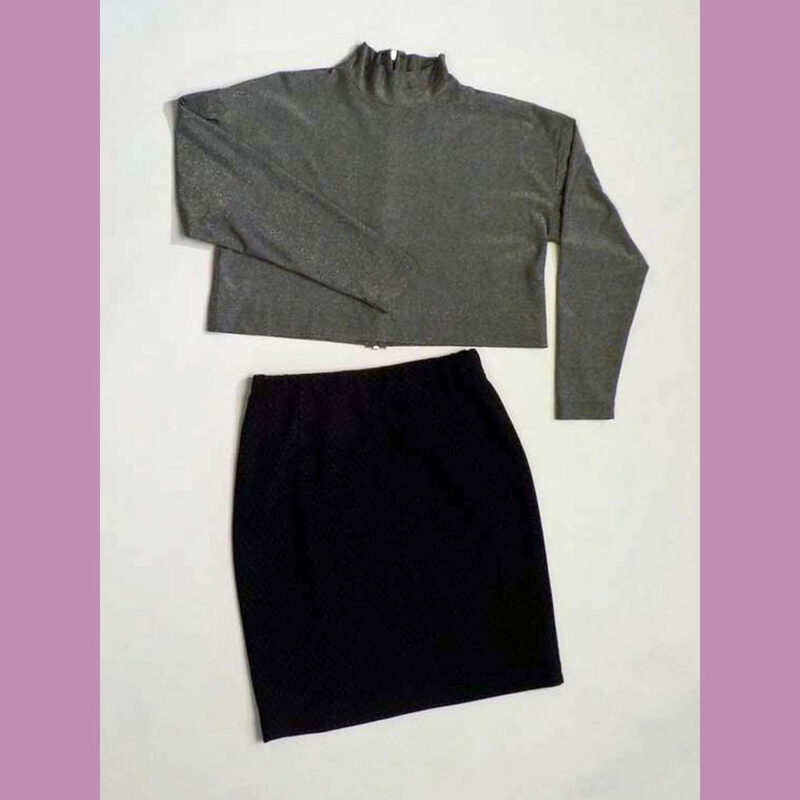 Katie’s ponte knit top and bonded wool skirt. Katie’s ponte knit top and stretch denim pants. 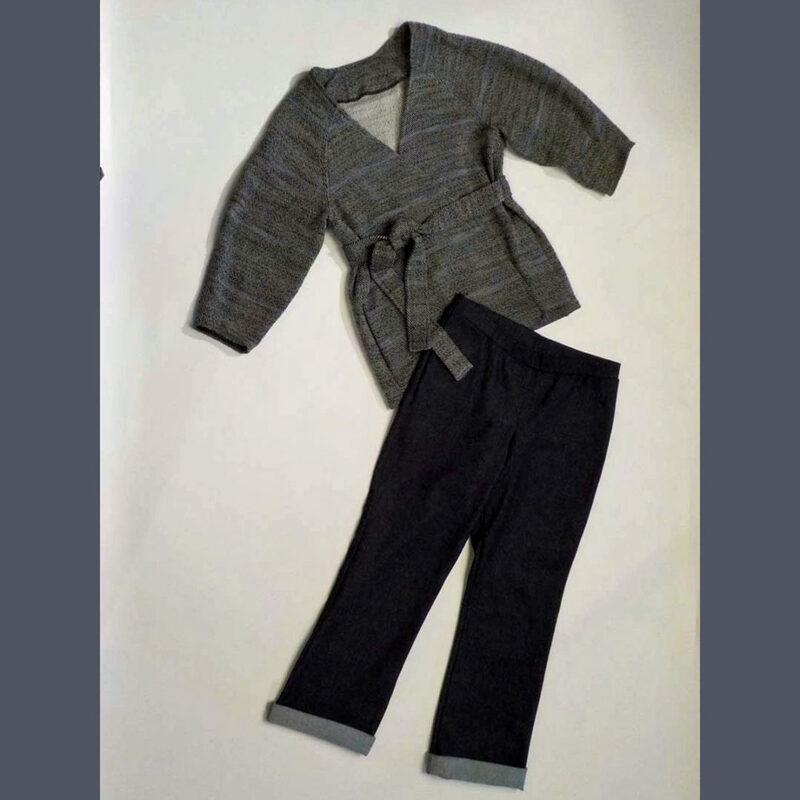 Jacket in handwoven cotton twill; pants in stretch denim from Mood Designer Fabrics. 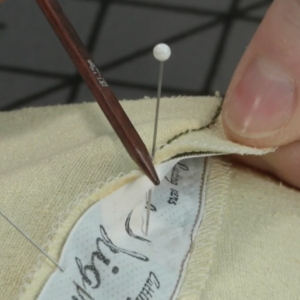 Katie added in-seam pockets to the pants. 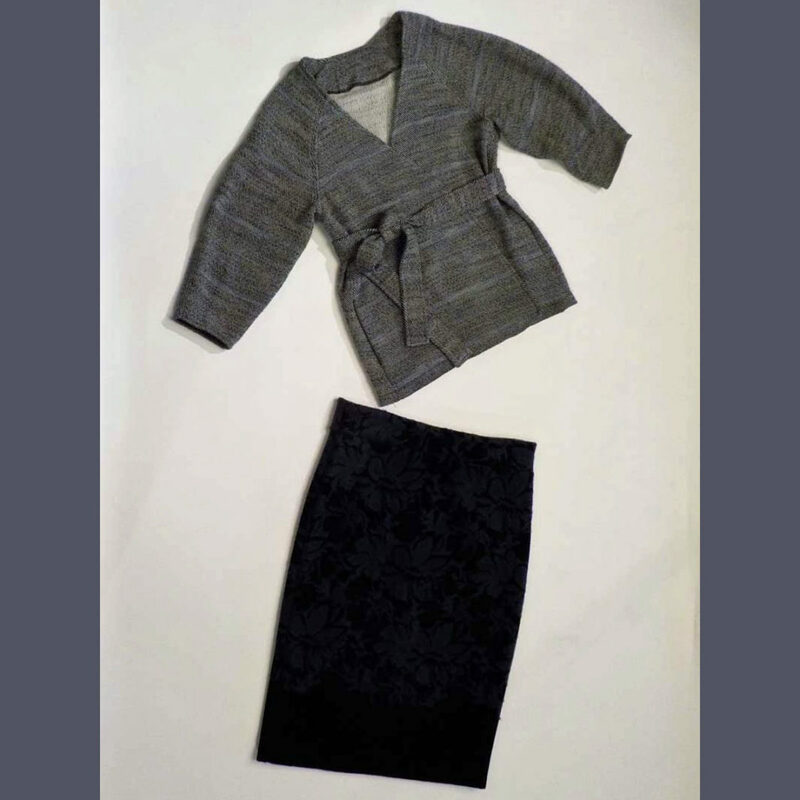 Handwoven cotton twill jacket and bonded wool skirt. 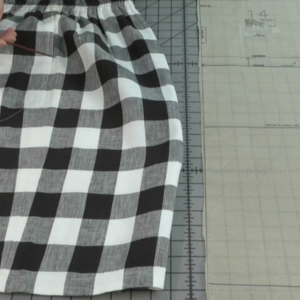 Katie lengthened the skirt to calf-length. 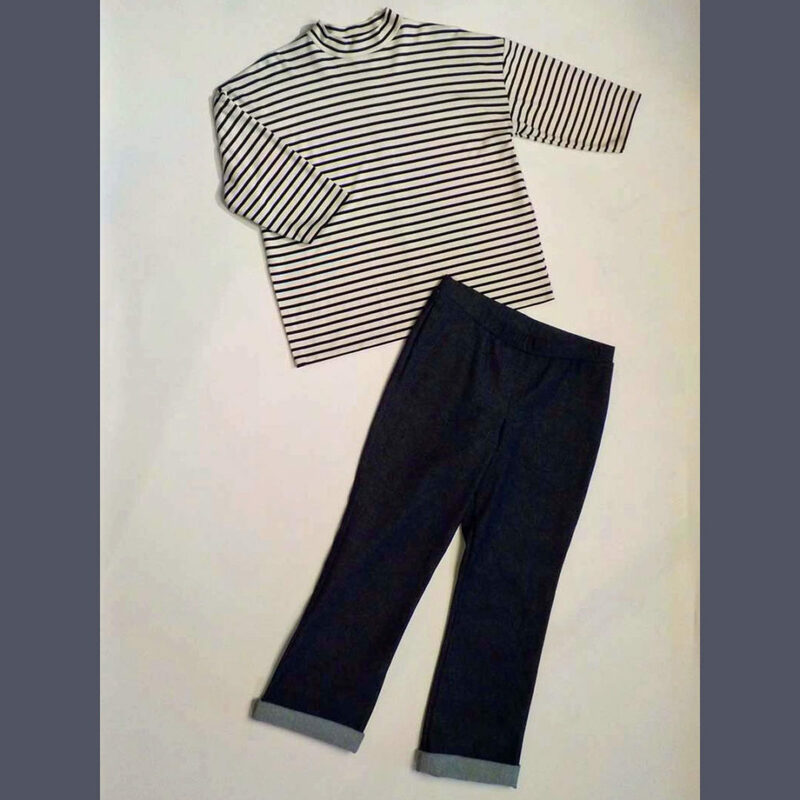 Knit bouclé jacket and stretch denim pants. 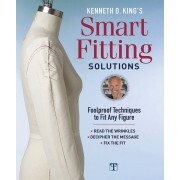 Carol added faux leather flat piping to the sleeves’ overarm seam. 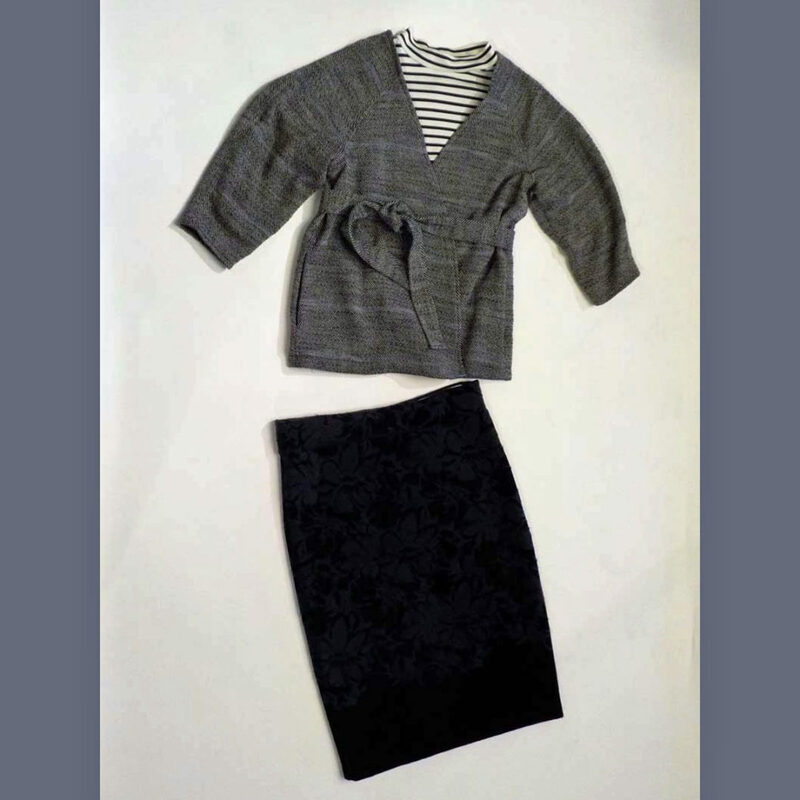 Carol’s knit bouclé jacket and reversible ponte knit skirt, striped side shown. 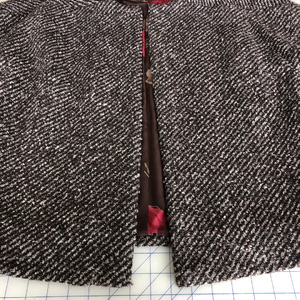 Carol’s knit bouclé jacket and reversible ponte knit skirt, dotted side shown. Metallic jersey top and stretch denim pants. 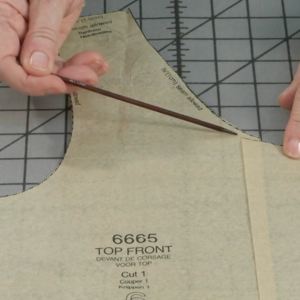 Carol shortened the top and added a full-length exposed zipper at center back. 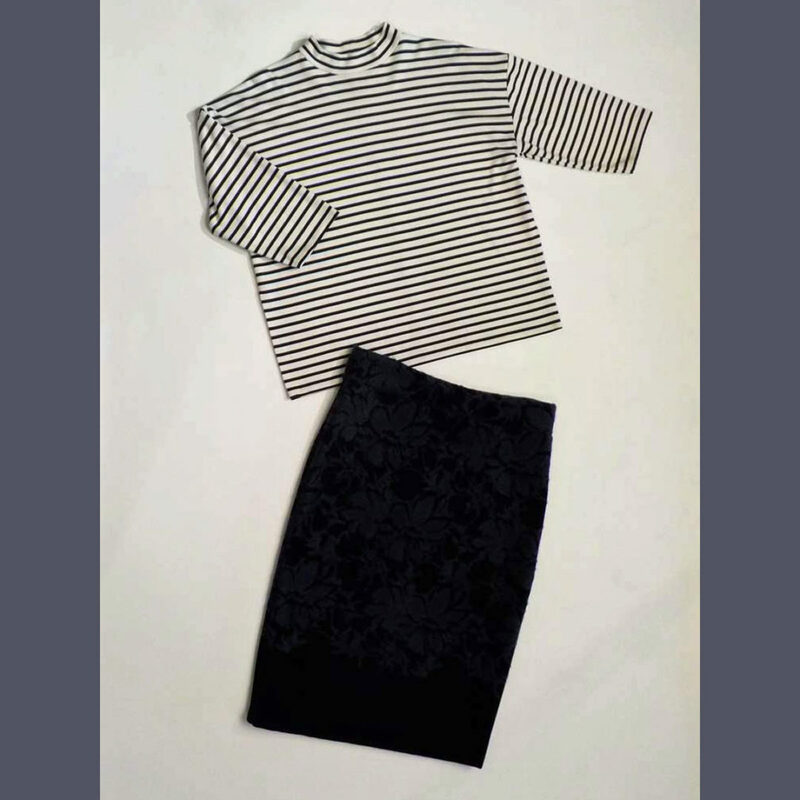 Carol’s metallic jersey top and reversible ponte knit skirt, striped side shown. 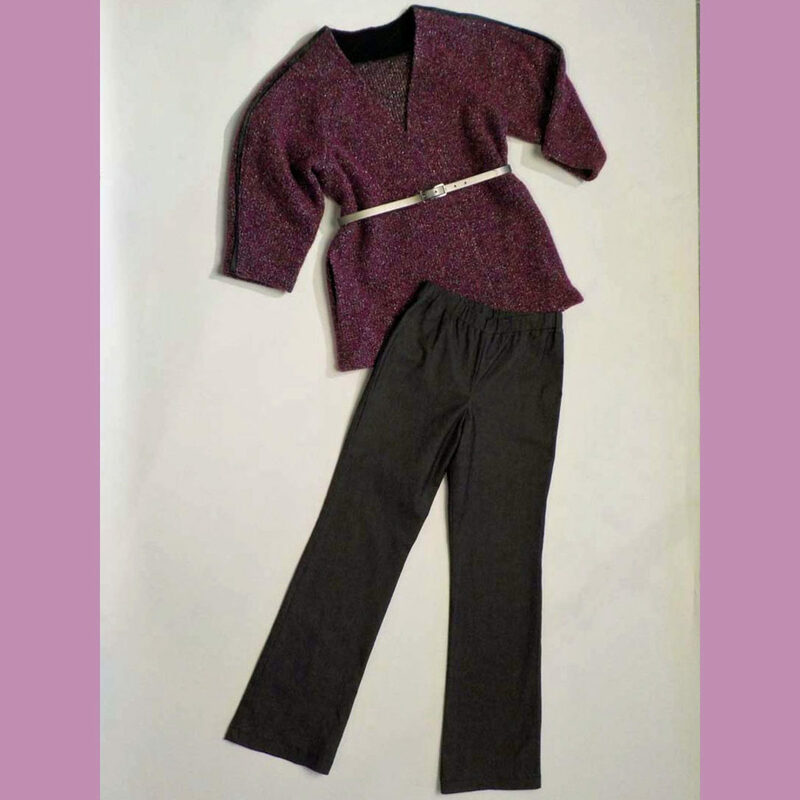 Carol’s metallic jersey top and reversible ponte knit skirt, dotted side shown. 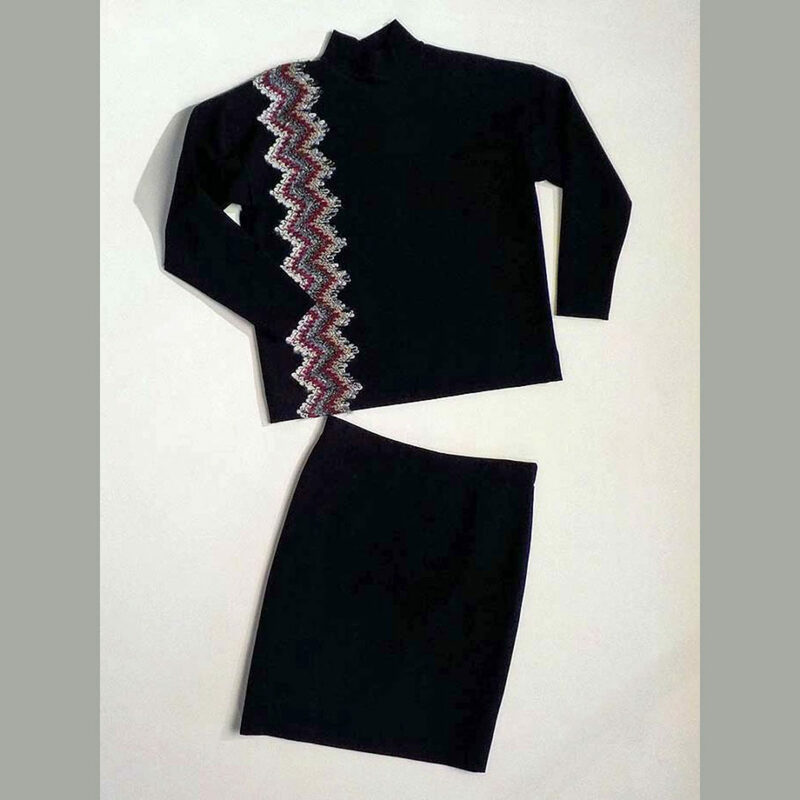 Wool-blend chevron knit jacket and ponte knit skirt. 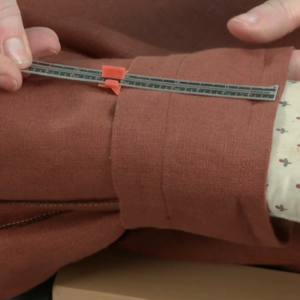 Sarah lengthened the jacket body by 5 inches. 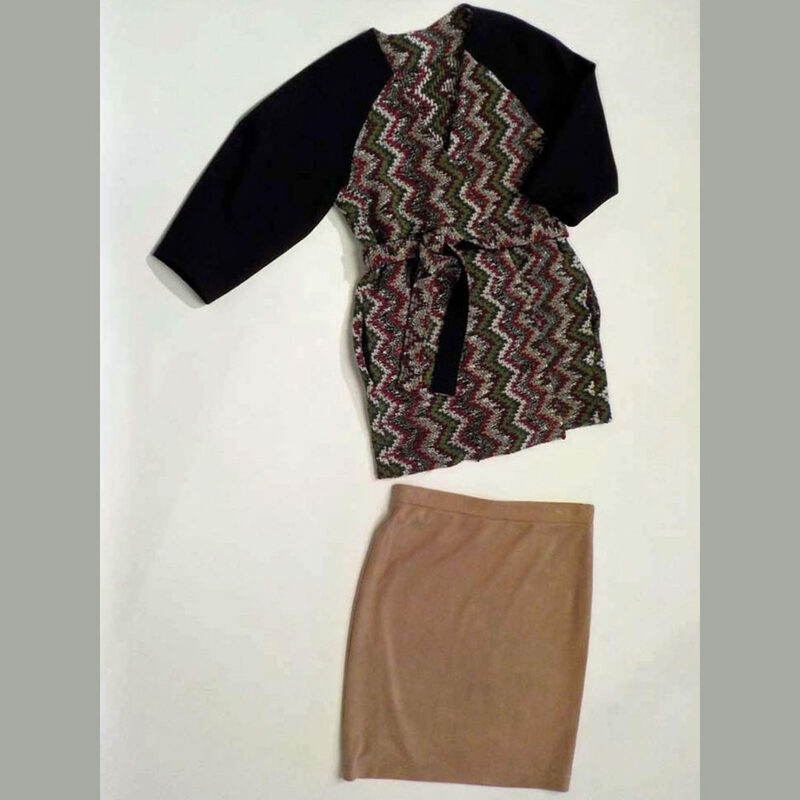 Wool-blend chevron knit jacket and stretch faux suede skirt. 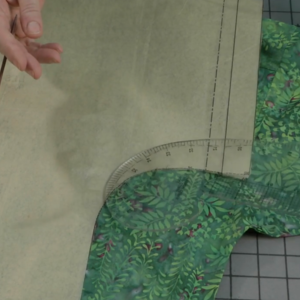 Sarah added swimsuit lining to the skirt. 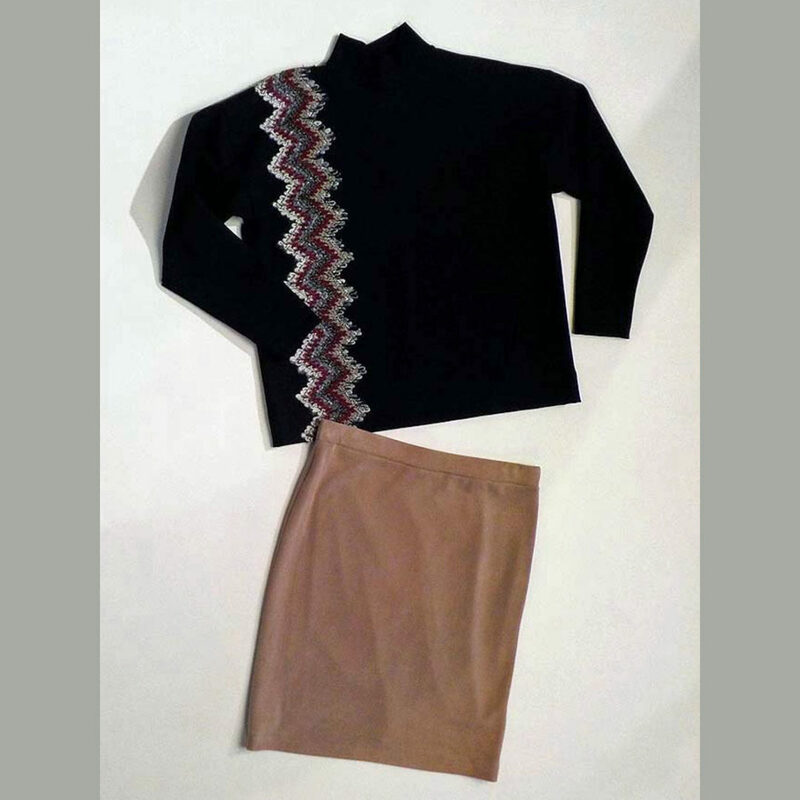 Sarah’s wool-blend chevron knit jacket and double-knit skirt. 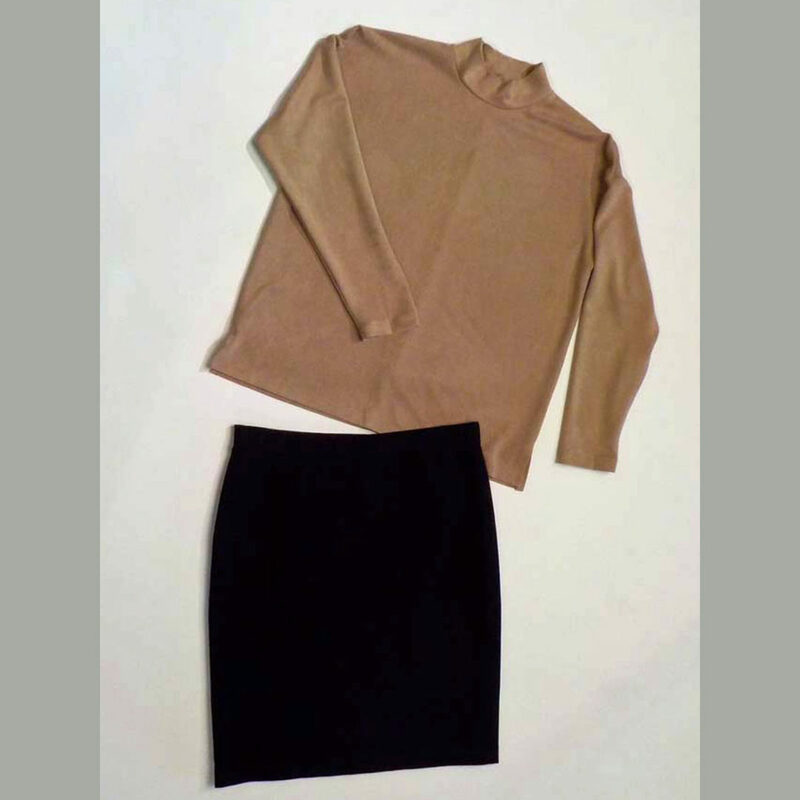 Sarah’s stretch faux suede top with ponte knit skirt. 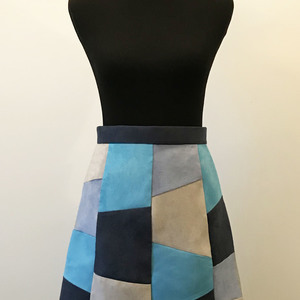 Sarah’s stretch faux suede top with stretch faux suede skirt. 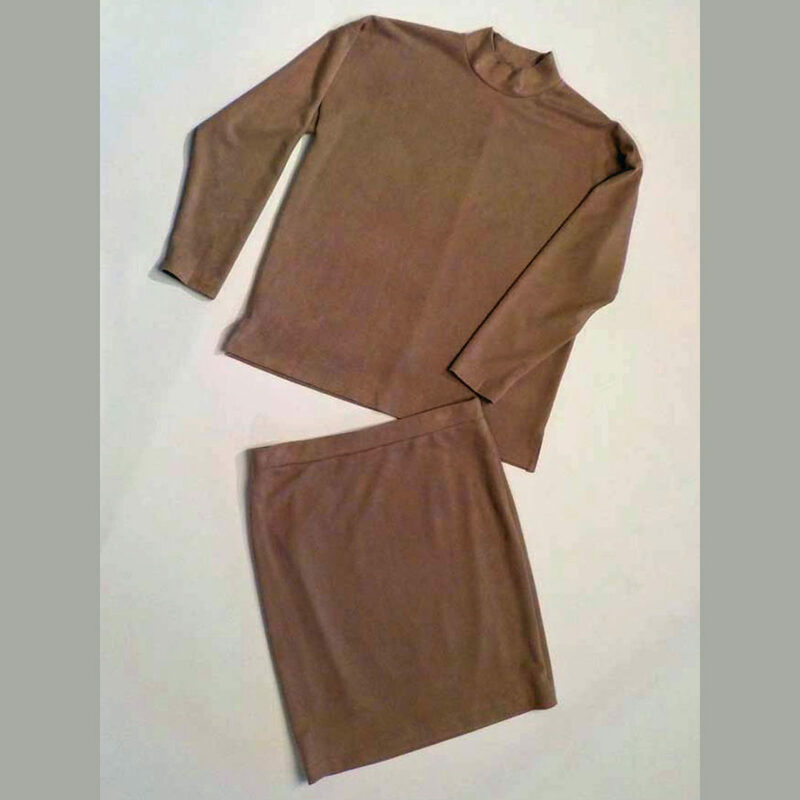 Sarah’s stretch faux suede top with double-knit skirt. Embellished ponte knit top with ponte knit skirt. 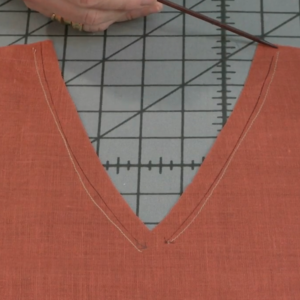 Sarah appliquéd a strip of wool-blend chevron knit to the top. Sarah’s embellished ponte knit top with stretch faux suede skirt. Sarah’s embellished ponte knit top with double-knit skirt.